John Pembertonwas living in San Francisco in an apartment with a long, narrow hallway and no place to hang his coat or drop his keys. 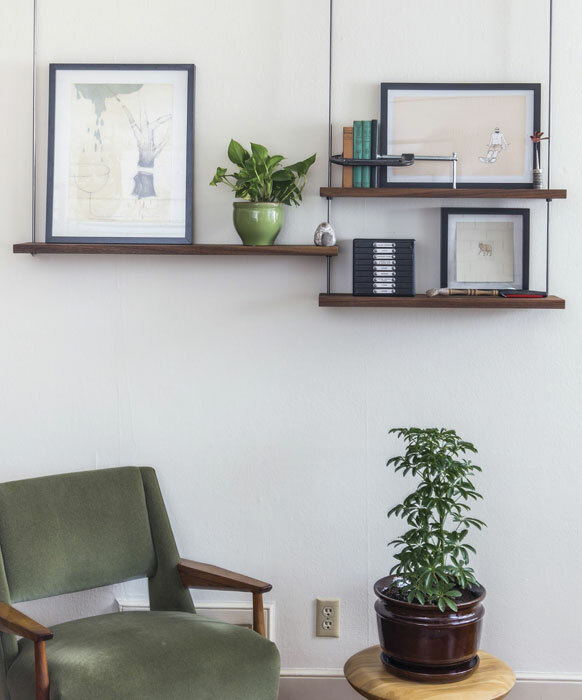 Inspired by Shaker peg racks, he designed a shelf that would hang from the hallway’s picture rail molding, with several coat hooks suspended below the shelf. YOU’VE HEARD THAT necessity is the mother of invention. Exhibit A: John Pemberton. A few years ago, he was living in San Francisco in an apartment with a long, narrow hallway and no place to hang his coat or drop his keys. Inspired by Shaker peg racks, he designed a shelf that would hang from the hallway’s picture rail molding, with several coat hooks suspended below the shelf. Boom—problem solved. Today, Pemberton lives in Sacramento and sells his ingenious shelving units through his company Carlysle Manufacturing Co. 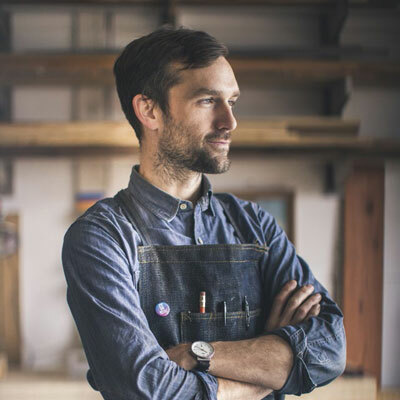 Working out of a studio in East Sac, he makes the shelves out of cherry, oak, mahogany or walnut. Cold-rolled steel support rods go through the wood to a locking shaft collar that allows the buyer to move the shelf up and down and change its height. Both sleek and utilitarian, the units are popular with modern-loving millennials.